My interest in the William Riley is well documented, it was one of the lifeboats involved in the tragic loss of the former hospital ship HMHS Rohilla. The Rohilla was lost off Whitby on Saltwick Nab in October 1914 with great loss of life. In all six lifeboats attempted to rescue people stranded on board the wrecked ship during which there were many heroic rescue attempts. When I began writing my book "Into The Maelstrom - The Wreck of the Rohilla" I was fortunate enough to open dialogue with a number of people whose family were directly involved when the ship was lost. One of those Elsie Naylor was just a child when her father was lost onboard the Rohilla. 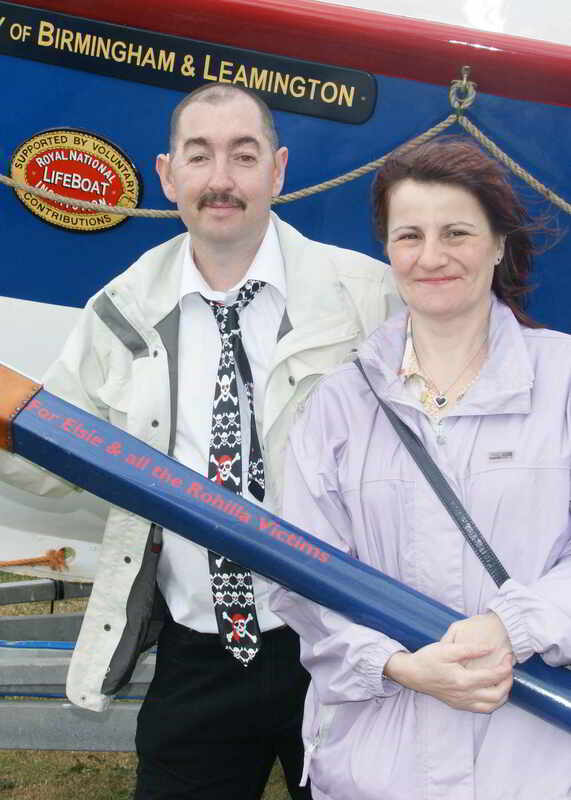 I really enjoyed corresponding with Elsie and our telephone conversations and we thought it an easy choice to add Elsie's name to the oar. For me the dedication is another element to the ongoing story of the lost liner.